Summer birthdays are approaching fast and Pirate Cove is ready for them! Whether your turning 3 or 103 this year, why not have your own swashbuckling adventure at Pirate Cove Adventure Park? 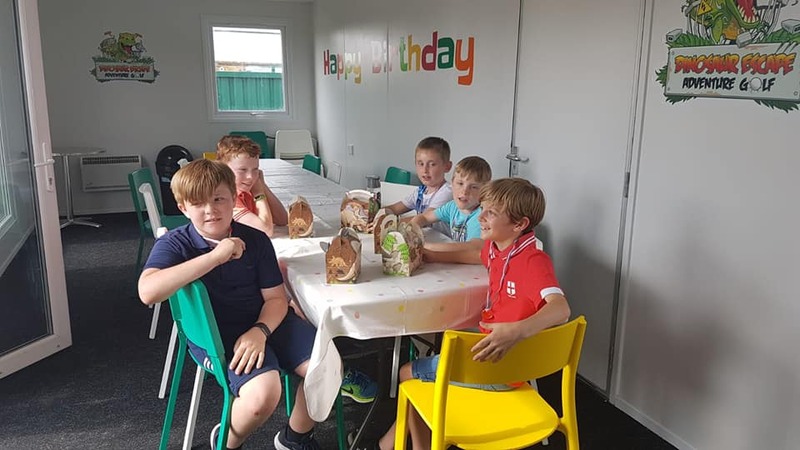 Our birthday parties are made up of 1 hour of pirate golf fun with the chance to meet Captain Jim and 1 hour in our pirate dungeon themed party room. Dance along to pirate music while enjoying your favourite foods with all your friends! Why chose Pirate Cove for your party? Don’t want your child’s birthday to be an extremely stressful event? Then Pirate Cove is perfect for you! Booking via our website will be as easy for you as it is for Captain Jim to get a hole-in-one (which is extremely easy). Plus, our crew will be on board to help in anyway they can whether it be setting up party boxes or helping each pirate find the golf ball they want. Need a helping hand give us a call at: 01322 427270. Every child will have a great time and it’ll be a breeze for the parents running it. when you can hear it straight from our very own Pirate Cove party customers! ’re ready to go! You arrive at Pirate Cove, greeted by our friendly and helpful staff, everything is ready for you! Your party boxes on the table, everything you need for golf waiting in a bag for your guests to arrive. When everyone’s arrived, you head out to the course. Large group? No problem for Pirate Cove we have two 18-hole courses perfect for everyone to get round without getting bored. When everyone’s finished with golf they tuck into your chosen favourite food; golf can be tiring work. Sooner than you realise (with all the fun you’re having) it’s time to hand out party boxes and for guests to head off with their parents or carers, all full of chatter about what great fun they’ve had today!